Which Direction Should a Ceiling Fan Turn? | HB McClure Co. Which Direction Should a Ceiling Fan Turn? Home » HB McClure Posts – Residential and Commercial » Which Direction Should a Ceiling Fan Turn? With every change of season, homeowners find themselves looking up at their ceiling fans and wondering which direction the blades should be turning to maximize the efficiency of their heating or cooling system. If you’re one of these homeowners, print this blog and hang it on your refrigerator so you’ll never have to wonder again. Before you get started, it’s important to know that the direction of the fan’s circulation is determined by looking up at the fan from below (as opposed to thinking about a view from above). Also, the switch used to change the direction of the circulation is typically located on the base of the fan that’s mounted to the ceiling. 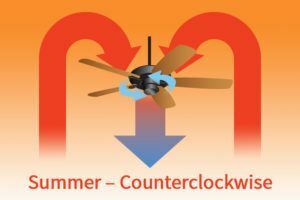 When the fan’s blades turn counterclockwise, they push the air in the room downward. 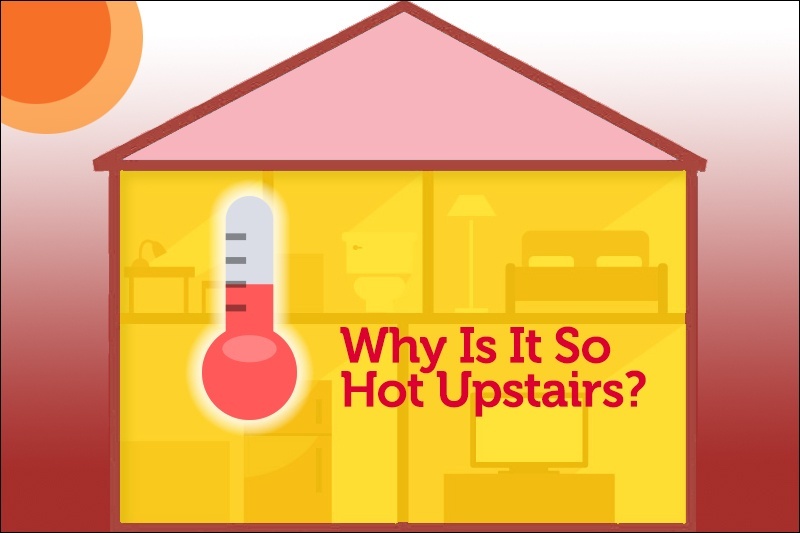 Moving air in this downward direction creates a cooling sensation on your skin even though the temperature of the room doesn’t change. Even when it’s warm, moving air can have a cooling effect, just like a light breeze on a hot, humid day. Creating this effect makes it possible to set your thermostat a little higher but feel just as comfortable as you would if the temperature were set lower without using the fans. 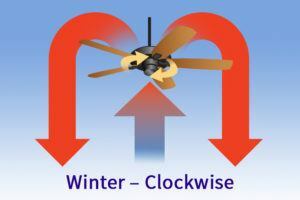 When turning in a clockwise direction, the angle of the fan’s blades pulls the air in the room upward and forces it into the ceiling. The air then follows a path from the ceiling down to the walls and on to the floor, so heat is constantly circulated and more evenly distributed in the room. 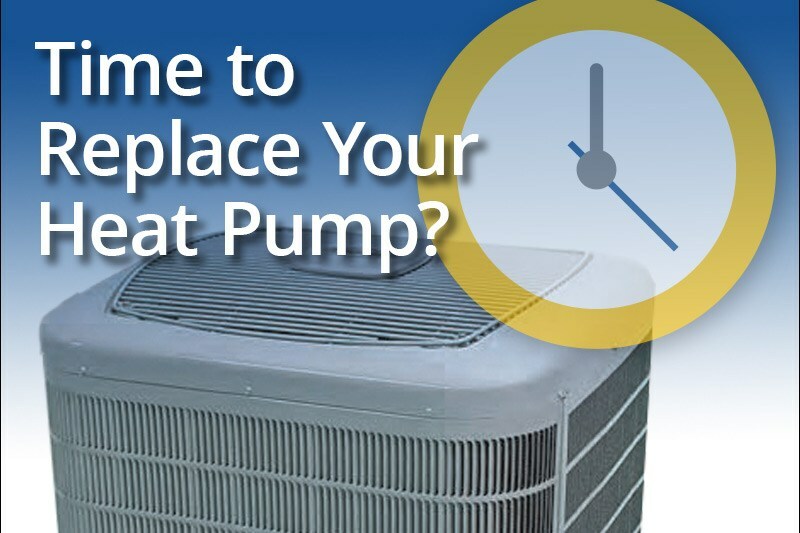 While this can improve heating efficiency by redistributing the heat that collects near the ceiling, some homeowners find the air circulation uncomfortable during the chilly months of winter. 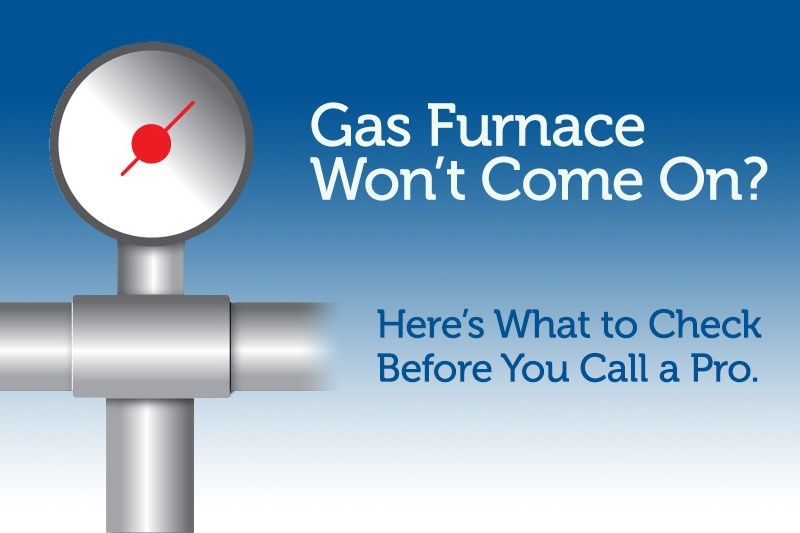 To alleviate this potential discomfort, set your ceiling fan on the lowest possible speed. Even at the lowest speed, you’ll still achieve the desired effect. Now that you’ve got this blog for your refrigerator, all that’s left to do is set a reminder on your calendar so you’ll remember to make the change at the start of each season. Be cool and stay warm. What Does the Red Light on My Oil Furnace Mean?